Recent release “My Complicated Romance” from Page Publishing author Marlynn Groholske tells the tale of Sandra, and the many young men vying for her attention in the new town she moved to, until she falls for a special guy. 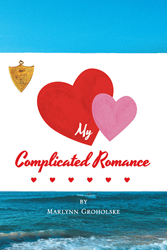 Marlynn Groholske, a devoted mother and wife with a zest for life, has completed her new book “My Complicated Romance”: an exciting story about a girl with many male suitors and her determination to keep her romantic options open. Published by New York City-based Page Publishing, Marlynn Groholske’s beautifully, descriptive writings detail Sandra’s journey in meeting new friends and finding true love. It is said that one can take the girl out of the country, but they cannot take the country out of the girl, but this is definitely not the case with Sandra. She takes her new town, Dunston, by storm and never looks back, changing her life and those she meets. Readers who wish to experience this inspiring work can purchase “My Complicated Romance” at bookstores everywhere, or online at the Apple iTunes store, Amazon, Google Play or Barnes and Noble.